She was given the name of Marie Anne Victorie Christine Josèphe Bénectine Rosalie Pétronille at birth.1 She gained the title of Prinzessin von Bayern. [S16] Jirí Louda and Michael MacLagan, Lines of Succession: Heraldry of the Royal Families of Europe, 2nd edition (London, U.K.: Little, Brown and Company, 1999), table 50. Hereinafter cited as Lines of Succession. Maria Luisa Gabriela di Savoia was born on 17 September 1688 at Turin, ItalyG. She was the daughter of Vittorio Amedeo II di Savoia, Re di Sicilia e Sardegna and Anne Marie d'Orléans.1,3 She married Felipe V de Borbón, Rey de España, son of Louis de Bourbon, Dauphin de France and Maria-Anna Prinzessin von Bayern, on 3 November 1701. 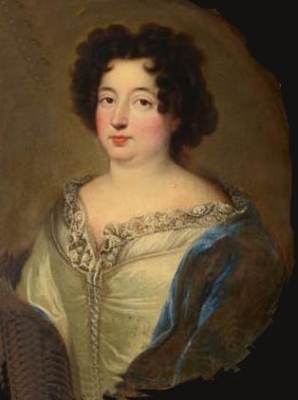 She died on 14 February 1714 at age 25 at Madrid, SpainG. [S16] Louda and MacLagan, Lines of Succession, table 69. 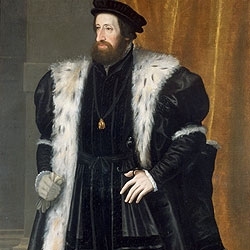 Ferdinand I von Habsburg, Holy Roman Emperor was born on 10 March 1503. He was the son of Felipe I von Habsburg, Rey de Castilla and Juana, Reina Juana de Castilla.1 He married Anna Jagellon, daughter of Vladislav II, King of Bohemia and Hungary and Anne de Foix, Comtesse de Candale, on 25 May 1521 at Linz, AustriaG.1 He died on 25 July 1564 at age 61. Germaine de Narbonne was the daughter of Juan de Foix, Vizconde de Narbonne.1 She married Fernando II, Rey de España, son of Juan II, Rey de Aragón y Navarre and Juana Henriques, in 1505 at Blois, Berri, FranceG. She died in 1536. [S16] Jirí Louda and Michael MacLagan, Lines of Succession: Heraldry of the Royal Families of Europe, 2nd edition (London, U.K.: Little, Brown and Company, 1999), table 48. Hereinafter cited as Lines of Succession. Isabel de Castilla y Aragón, Princesa das Asturias was born on 2 October 1470 at Duenas, SpainG. She was the daughter of Fernando II, Rey de España and Isabella I, Reina de Castilla. She married, firstly, Alphonso de Aviz, Principe de Portugal, son of João II de Aviz, Rei de Portugal and Eleanor de Aviz, on 18 April 1490 at Seville, SpainG. She married, secondly, Manuel I de Aviz, Rei de Portugal, son of Ferdinando de Aviz, Duque de Viseu and Beatriz de Aviz, on 6 October 1497 at Valencia d'Alcantara, SpainG. She died on 23 August 1498 at age 27 at Saragosa, SpainG. She was buried at Sta. Isabel, Toledo, SpainG. She gained the title of Princesa Isabel daz Asturias. Juan de Castilla y Aragón, Principe das Asturias was born on 30 June 1478. He was the son of Fernando II, Rey de España and Isabella I, Reina de Castilla. He married Margarete Erzherzogin von Österreich, daughter of Maximilian I von Habsburg, Holy Roman Emperor and Marie de Bourgogne, Duchesse de Bourgogne, on 3 April 1497 at Burgos, Castile, SpainG. He died in 1497. He gained the title of Principe Juan das Asturias. He gained the title of Infante de Aragón. 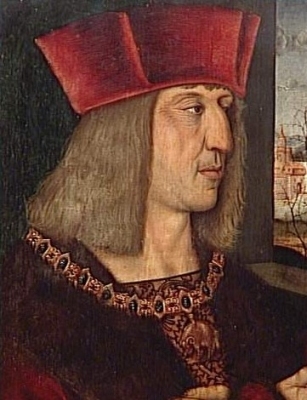 Alphonso de Aviz, Principe de Portugal was born in 1475. He was the son of João II de Aviz, Rei de Portugal and Eleanor de Aviz.2,1 He married Isabel de Castilla y Aragón, Princesa das Asturias, daughter of Fernando II, Rey de España and Isabella I, Reina de Castilla, on 18 April 1490 at Seville, SpainG. He died in 1491. [S16] Jirí Louda and Michael MacLagan, Lines of Succession: Heraldry of the Royal Families of Europe, 2nd edition (London, U.K.: Little, Brown and Company, 1999), table 116. Hereinafter cited as Lines of Succession. Manuel I de Aviz, Rei de Portugal was born on 31 May 1469. He was the son of Ferdinando de Aviz, Duque de Viseu and Beatriz de Aviz.1 He married, firstly, Isabel de Castilla y Aragón, Princesa das Asturias, daughter of Fernando II, Rey de España and Isabella I, Reina de Castilla, on 6 October 1497 at Valencia d'Alcantara, SpainG. He married, secondly, Maria de Castilla y Aragón, Infanta de Castilla, daughter of Fernando II, Rey de España and Isabella I, Reina de Castilla, on 30 August 1500. 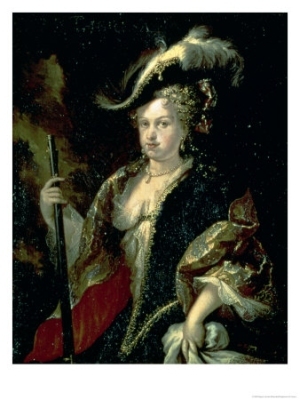 He married, thirdly, Eleonora Erzherzogin von Österreich, daughter of Felipe I von Habsburg, Rey de Castilla and Juana, Reina Juana de Castilla, in 1519. He died on 13 December 1521 at age 52. [S11] Alison Weir, Britain's Royal Families: The Complete Genealogy (London, U.K.: The Bodley Head, 1999), page 160. Hereinafter cited as Britain's Royal Families.